In addition to Amsterdam Airport Schiphol, four other airports in the Netherlands serve commercial airlines. A number of international airports are also convenient to Amsterdam. 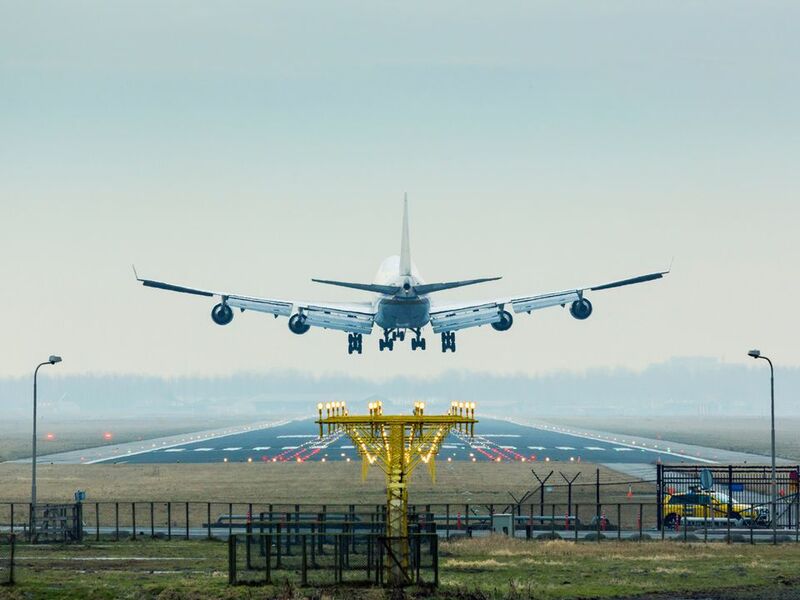 Here's what you need to know about the five civilian Netherlands airports. Schiphol is not just the Netherlands' principal airport — it's the fifth most trafficked airport in all of Europe. Located in Haarlemmermeer, a municipality that borders the city of Haarlem, travelers arriving at Schiphol can avail themselves of the convenient Dutch Railways (NS) service that connects the airport to Amsterdam Central Station in 15 minutes. Schiphol is the most convenient civilian airport to Amsterdam. The Rijksmuseum has a small exhibition center just past airport security. M.C. Escher's "Metamorphosis III" adorns the airport's walls. Substantial airport taxes and fees make Schiphol a less affordable choice for travelers. Some of the major low-cost carriers operate from the Netherlands' smaller airports instead. Eindhoven Airport is the Dutch hub for several European low-cost airlines. Its location in North Brabant makes it relatively far from Amsterdam—by Dutch standards, at least. The airport can be reached by NS train via Utrecht, approximately 90 minutes away, or by Hermes Bus 401 from Eindhoven Station, about a 30-minute ride. About a dozen low-cost air carriers, including Ryanair, Transavia and Wizz Air, operate via Eindhoven Airport. Eindhoven Airport is relatively far from Amsterdam, an approximate two-hour commute. Rotterdam The Hague Airport serves about one million travelers per year. They're primarily customers of the seven low-cost airlines that operate via the airport. Its location in the Randstad and its relative proximity to Amsterdam make it a convenient spot to land. Take Bus 33 to Rotterdam Central Station, then the NS train to Amsterdam. Each leg of the ride takes about 30 minutes. Rotterdam is the only airport other than Schiphol that's located in the Randstad, the urban heart of the Netherlands. Only a limited number of airlines serve Rotterdam The Hague Airport. Over a quarter million flyers use Maastricht Aachen Airport annually to get to popular Dutch holiday destinations as well as London, Berlin, Munich, and Amsterdam. The folks at Maastricht Aachen Airport are always working to expand services through partnerships with airlines and tour operators, so check in before your trip to find out what's new if you're thinking about flying into or out of this airport. Only three airlines -- BMI, Corendon, and Transavia -- land on the two runways of this miniature airport in Eelde, but visitors from Aberdeen, Antalya or insular Europe will find it useful to know that Amsterdam is only three hours away. Take Qbuzz Bus 51 to Groningen Central Station, about a 25-minute ride, then take the NS train to Amsterdam via Amersfoort, about a two and a half hour ride.